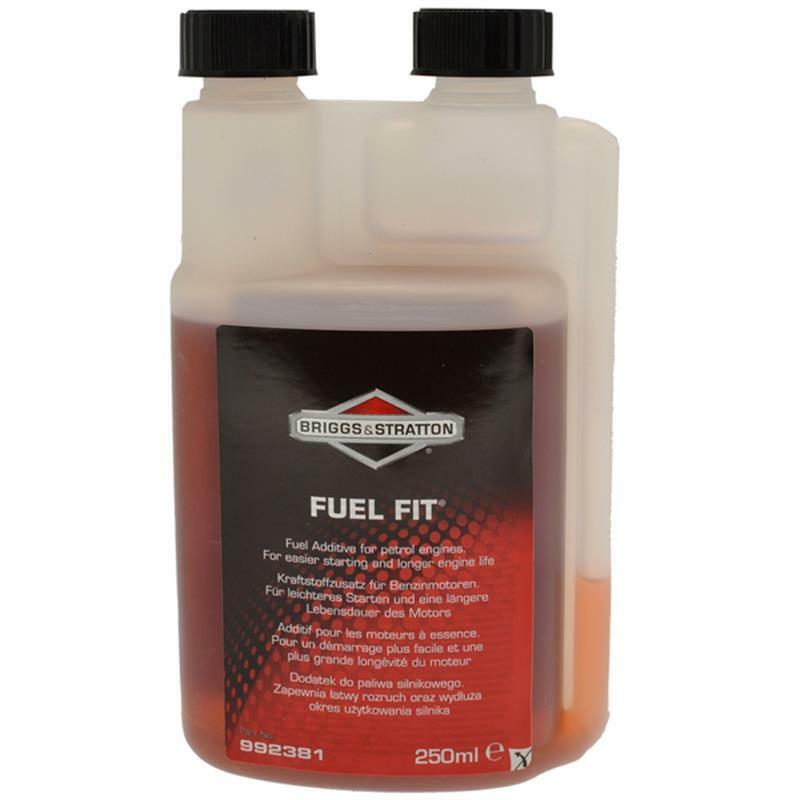 Briggs & Stratton Fuel Fit - 250ml. Briggs & Stratton fuel fit is a fuel additive for petrol engines, for easier starting and longer engine life; the 'triple antioxidant' formulation protects engines against the corrosive effects of ethanol and keeps fuel fresh even during long periods of storage (up to 3 years). Suitable for both 4 cycle and 2 cycle engines, 100ml Fuel Fit treats up to 10L of unleaded fuel.